Manchester United target Andrea Belotti has extended his contract with Torino. The new deal will run until June 2021, and should act as a significant deterrent to Premier League clubs. According to a report from Express, the extremely talented striker has a €100 million release clause included in his contract for any club outside Serie A trying to purchase Belotti, which has certainly ramped up his wages. The 22-year-old has burst into life with some explosive performances this season, and has already scored 11 goals in 14 games for Torino. He has been enjoying the same impressive form for Italy since his call-up to the senior team in September, finding the back of the net three times in five appearances. The Italian is said to be a potential Manchester United transfer target, as Jose Mourinho’s boys look to climb up the ladder in the Premier League. After 14 rounds of play, United are adrift of Chelsea by 13 points in the league. There were several reports from Italian media which claimed Belotti had been valued at around £43m (€51m) by Torino amid strong interest from Premier League clubs. United scouts have been joined by Arsenal, Liverpool and Everton ones in Italy, all keen to watch if Serie A’s new attacking sensation is really worth the hype – and this mammoth price tag. “I am pleased to tell you that we have renewed the contract with Belotti until 2021,” Torino president Urbano Cairo said. 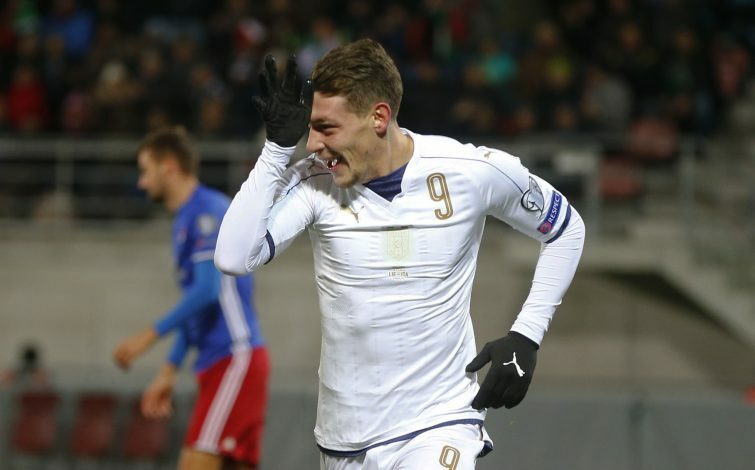 However, Belotti’s suitors still have the chance to rope in the 22-year-old in the summer, but they have no other choice but to pay a hefty £84 million fee. “We put in a release clause, only for foreign countries, at 100 million euros,” Cairo added.